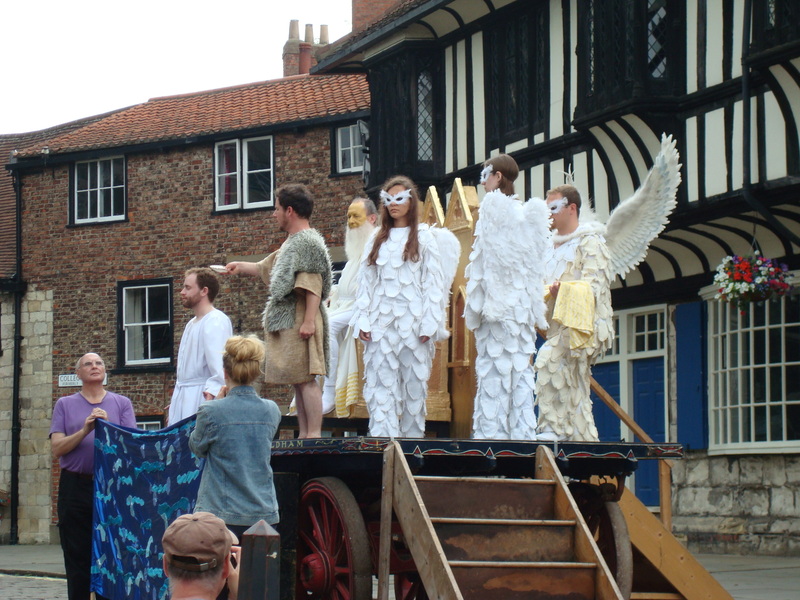 The York Mystery plays were performed on wagons in the streets of York (UK) from the 14th to the 16th century; a tradition revived in 1994. Although previous research highlights the importance of sound and acoustics, such studies have focused on theoretical and textual analyses. However, sound recreations are the only means by which sound interaction and its effects on perception can be understood. As a result, the proposed project uses digital audio technologies to recreate York’s 15th– and 16th– century soundscapes during the performances allowing reflection on their impact on the plays. 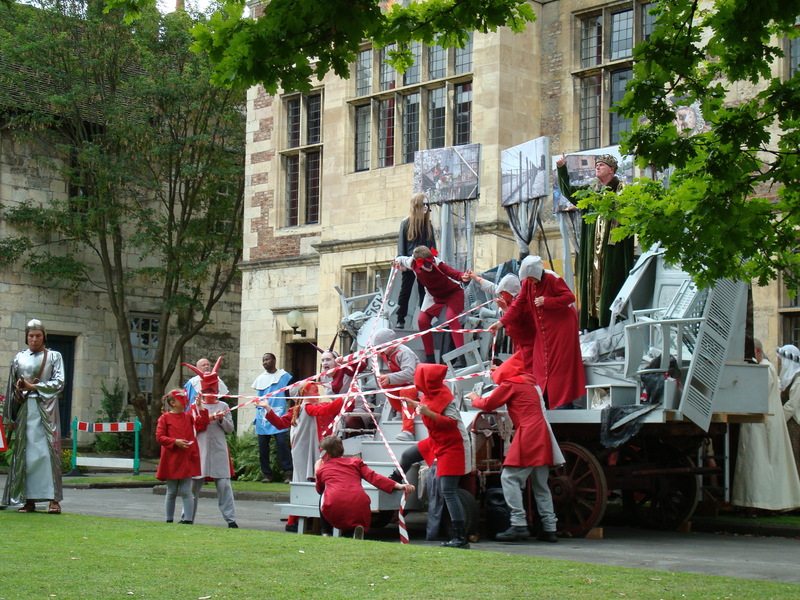 The recreated soundscapes will include elements of the narrative (speech, music, sound effects), sound resulting from the performance (wagons, audiences) and those that were external (weather conditions, bells). 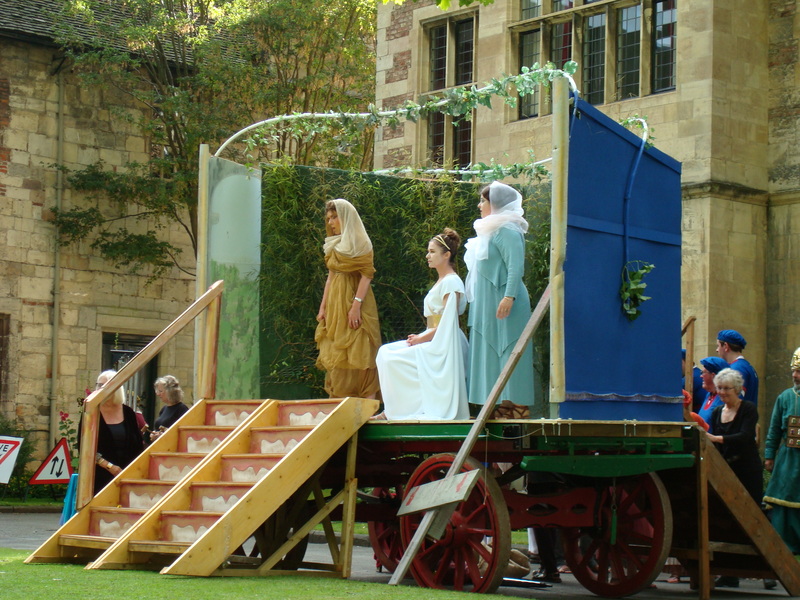 Modern aural considerations will also be investigated through the collection of oral histories of organisers, performers and audiences, in order to establish parallels between the medieval and modern experiences, allowing us to highlight the value of medieval studies in the modern world.